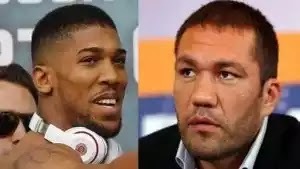 Bulgaria’s Kubrat Pulev has confirmed he will face Britain’s IBF and WBA heavyweight world champion Anthony Joshua in Cardiff on 28 October. The 36-year-old is the mandatory challenger for Joshua’s IBF title. “My preparation is very intensive despite the little time left,” Pulev posted on Facebook, adding the date and confirming Cardiff as the venue. The bout has not been confirmed by Joshua’s team, with promoter Eddie Hearn stating an announcement would be made on Tuesday. In contrast to his comments on Monday, Pulev posted a message on 24 August stating he was not “in sync” with his promoters, who he believed had been negotiating the date of the bout without consulting him. He added he would “need a minimum of three to four months” to prepare. Cardiff’s Principality Stadium is expected to host the bout six months after Joshua stopped Wladimir Klitschko at a sold-out Wembley Stadium in April, to add the WBA title to the IBF belt he claimed in 2016. Klitschko delivered the only defeat of Pulev’s 26-fight career in 2015 but the Bulgarian has since won five fights in a row, taking him to a position as the IBF’s mandatory challenger. Both of Joshua’s belts are expected to be on the line as the 27-year-old prepares to add to his 19 wins from 19 fights, all within the distance. 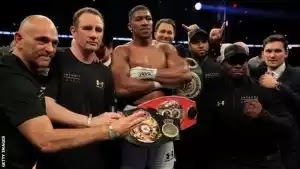 Hearn has said that Joshua’s aim is to face Pulev before meeting Luis Ortiz, the mandatory challenger for his WBA title – stressing that Joshua does not want to vacate either of his belts and would rather defend them before hopefully facing WBC title holder Deontay Wilder in the summer of 2018. The heavyweight division’s fourth recognised title is held by New Zealand’s Joseph Parker, who defends the WBO belt against Hughie Fury in Manchester on 23 September. Joshua’s meeting with Pulev is set to be the fourth night of boxing held at Wales’ national stadium. Matt Skelton overcame Danny Williams for the Commonwealth heavyweight title there in 2006, while Wales’ Joe Calzaghe enjoyed two wins in front of his home crowd, against Peter Manfredo and Mikkel Kessler.